CCM returned as the jersey manufacturer of the Pittsburgh Penguins jerseys for the 2000-01 NHL season. CCM brand KOHO would be the logo featured on the team's road (black) and alternate jerseys. To open the season, the Penguins traveled to Japan to take on the Nashville Predators at Saitama Super Arena outside Tokyo, Japan. The Penguins wore their Home (white) jerseys in the first game on October 7th and their Road (black) jerseys in the second game on October 8th. Both sets featured the NHL's Game ONe Japan patch on the right chest. 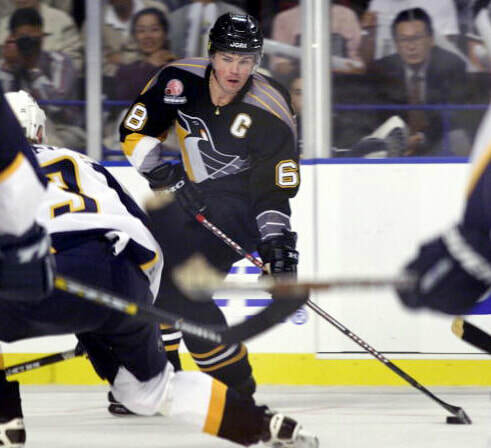 On October 28, 2000 vs. New Jersey, the Penguins introduced new alternate jerseys which featured the return of the skating penguin logo that was last donned in 1992. Also, a new color was introduced - Vegas Gold - which was featured in the chevroned hip striping, sleeve striping and triangle of the skating penguin crest and shoulder logos. The CCM / KOHO logo was embroidered onto a white (CCM) or black (KOHO) twill material and sewn to the back neckline above the players' name on back. The National Hockey League shield logo remained embroidered on the back right hem. The inside neckline of each jersey featured a small manufacturer's tag next to the smaller size fly tag. Inside the side seam was a manufacturer's washing instructions tag. All jerseys were made of Air-Knit material. ​J&J Distributing of Ellwood City, PA purchased and marketed the Set 1 Home (white) and Road (black) jerseys. The MeiGray Group purchased and marketed the Set 2 Home (white), Road (black), and Alternate Set 2 jerseys. PenguinsChronicles.com obtained and marketed the Alternate Set 1 jerseys. To open the season, the Penguins traveled to Japan to take on the Nashville Predators at Saitama Super Arena outside Tokyo, Japan. 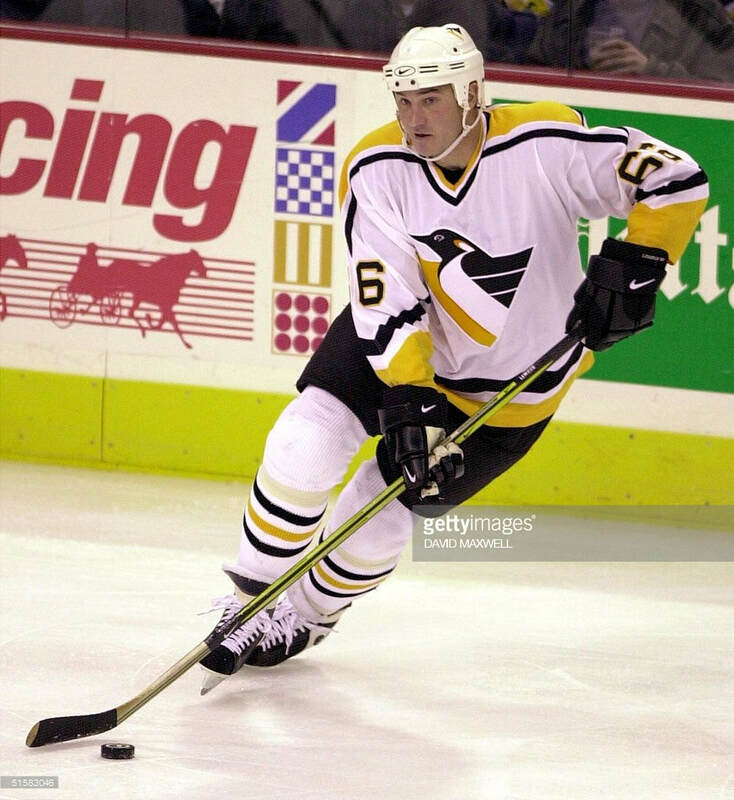 The Penguins wore their Home (white) jerseys in the first game on October 7th and their Road (black) jerseys in the second game on October 8th. Both sets featured the NHL's Game ONe Japan patch on the right chest.